This is a review of a supplement called Focus Advantage. This product contains the necessary amino acids and minerals for normal brain function and development. It also provides nutrients that reduce the symptoms associated with ADHD/ADD. You will gain more knowledge about Focus Advantage as you continue reading this article. Children weighing less than 40 lbs should take 0.5 oz per day. People weighing between 40 and 100 lbs should take 0.5 oz twice per day. Users weighing more than 100 lbs should take 1 oz in the morning and 0.5 oz after midday. Users should take it with food and may mix it with juice to improve the taste. Users should reduce the dosage after they begin to notice the expected results. Based on the information gathered from research, it is evident that Focus Advantage has most of the main ingredients needed to make a difference in mental health. Therefore, users should be confident when taking the prescribed dosage. A bottle of Focus Advantage costs $29.56. This is a relatively cheap price for a bottle of 946 ml. Some consumers may raise concerns about the quality of the product based on the discrepancy between the price and the quantity. Nevertheless, this is an affordable price for most people. The manufacturer of Focus Advantage offers a 30-day guarantee. This is a relatively short duration compared to the satisfaction guarantee of most products in the same category. It means that users who fail to experience the expected results within 30 days lose their money with no compensation. A short duration for a guarantee may raise quality issues for users who need more time to experiment the product. Moreover, the absence of customer reviews may cause potential users to wonder about the experiences of those who have used the product. Therefore, quality concerns may arise due to the lack of reviews from consumers. 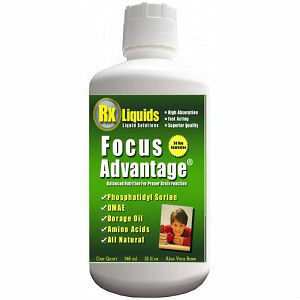 Focus Advantage is a suitable product for persons with ADHD/ADD symptoms. This product plays a significant role in promoting normal brain function and development. Its pros include a mixture of many ingredients that users can count on. Furthermore, the manufacturer offers a guarantee and clear prescription instructions. Clear instructions ensure that users do not consume the product beyond the allowable limits. This product also has a number of cons. For instance, it is not clear whether the product is safe for use. The manufacturer has not provided any information about the possible side effects that different users may experience. Moreover, apart from giving a 30-day guarantee, there is no evidence that users are satisfied with the product. Henry Costa	reviewed Focus Advantage	on June 14th	 and gave it a rating of 3.